Now that you’ve all seen (or, like myself, have made plans to see) Dunkirk, I thought it would be a nice time to remind everyone that Christopher Nolan wasn’t the first director to bring the legendary World War II evacuation to the big screen this year. Back in April, a very good and very British movie called Their Finest was released in American theaters to little fanfare. 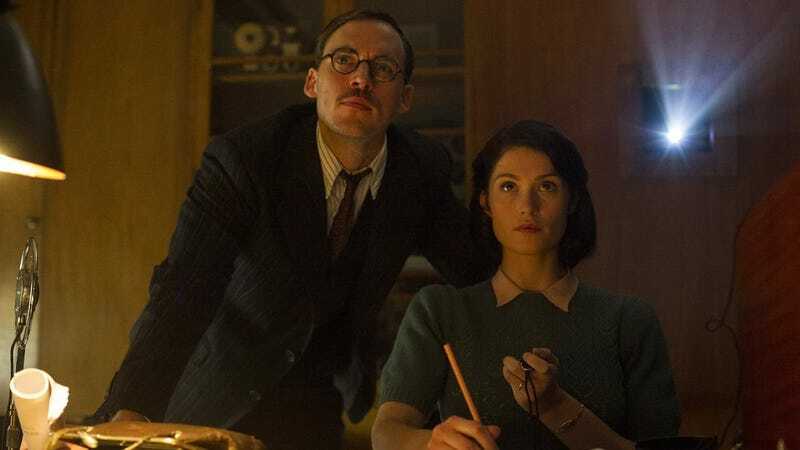 Directed by Lone Scherfig, the Danish woman behind charmers like Italian For Beginners and An Education, Their Finest was well-received by most critics, but never expanded beyond a paltry 300 theaters. Maybe its trailer and poster weren’t quite right. Maybe the studio didn’t care enough to give it the push it deserved. But now that it’s available to buy/rent at home, there’s no excuse to ignore it. It’s the London Blitz. A timid but tenacious Welsh woman named Catrin (Gemma Arterton) decides to look for work in the city to support both herself and her husband, a struggling painter with an old war injury that keeps him from fighting. Soon after the Ministry of Information’s film division offers her a job writing “slop” (the department’s charming term for women’s dialogue), Catrin is asked to research a story in the newspaper about identical twin sisters who bravely sailed their father’s boat to Dunkirk and saved the lives of several English soldiers. But the reporters, as Catrin soon discovers, got the facts wrong. The twins didn’t make it to Dunkirk at all (their engine broke halfway there), and they weren’t in their early 20s (they were about 30). Fortunately the department decides to make the film anyway, as the story—fact or fiction—will likely make a smashing piece of war propaganda. 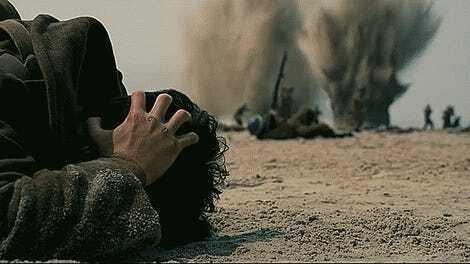 Even without Christopher Nolan or 21st century special effects. A scene from “The Nancy Starling,” Their Finest’s movie-within-a-movie about the Dunkirk evacuation. From here, this becomes one of those movies about the movies, finding conflict and humor in the fraught relationships between writers and producers, writers and actors (actually, writers and everyone) and, of course, men and women. Catrin, who quickly becomes invaluable in the male-dominated production team, has a classic love-hate relationship with her new coworker Tom, a dashing and depressed screenwriter played by Sam Claflin (Finnick in The Hunger Games); she also bonds with the film’s reluctant star, played to prima donna perfection by Bill Nighy. The film veers even further into comedic territory after the Secretary of War requests they develop an American character (Jake Lacey) to attract U.S. audiences. But this isn’t a total romp. Screenwriter Gaby Chiappe, who adapted Lissa Evans’s novel Their Finest Hour and a Half, finds a delicate balance between light romcom and historical drama, punctuating the film’s most unabashedly sentimental moments with a few Blitz-related bursts of violence and pathos. There’s love in the air, but there are also German bombers. That lingering dread provides Their Finest with the existential weight behind its best moments—like the expertly staged scene in which Catrin writes a love letter in script form, and the movie-within-the-movie cast’s gorgeous, wistful sing-along to “Wild Mountain Thyme.” When death could be around every corner or in the echo of every siren, romance is more romantic, comedy is a little funnier, and a happy ending of any kind feels like a small miracle. While its pacing often stutters and is, at times, strangely hard to follow (the movie tends to zip through large chunks of time without providing much notice), Their Finest irons out those minimal wrinkles by its shimmering, shameless tearjerker of a third act. There is a lot to be said for a movie this earnest and satisfying, and, frankly, no one’s been saying enough.